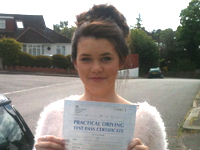 Tommy passed about 18 months ago , 1st time with 2 minors, Natasha last week 1st time with 1 minor. Well where do I begin... Steve is an experienced and professional driving instructor, very knowledgeable and has great teaching methods. A genuine nice guy and a delight to sit next to. His new Vauxhall Astra is a pretty nice car too. 10/10 and worth every penny. 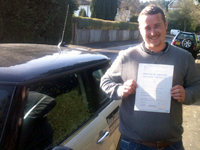 Steve has been a fantastic instructor and has been a great help with my driving. 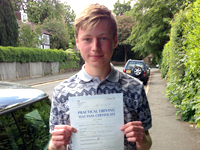 He helps you feel very confident about driving, is patient and prepares you immensely for the test. He tailors his lessons to fit your needs and is very friendly, making his lessons fun. I was very impressed with how flexible he was his time and how he always managed to fit me into his schedule, never cancelling on lessons. 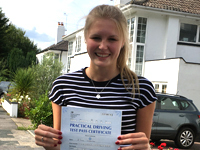 I thoroughly enjoyed learning to drive with Steve and would definitely recommend him to anyone. I began my lessons with Steve following a bad learning experience. He filled me with confidence when driving from the get-go and helped make the learning experience fun, enjoyable and comfortable. He really is a fantastic instructor, and teaches with a calm and reassuring manner. 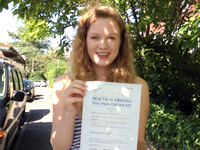 Thanks to Steve and his teaching, I passed first time and would strongly recommend him to anyone learning to drive. I enjoyed the whole experience of learning to drive with Steve, he makes you feel as comfortable as possible and is really friendly. He also helps you pass in your own time and knows when you're ready, which is a real comfort when it comes to your test. 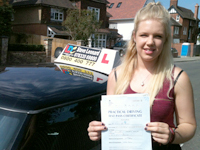 I couldn't believe that i passed first time with only 3 minors and it wouldn't have been possible without Steve's help. I would definitely recommend him to anyone who is keen to start driving. I really enjoyed my lessons with Steve. He made me feel comfortable from day one to know that if I make mistakes it's okay and he would explain to me how to improve, and it majorly helped. I can't believe I passed first time with only 3 minors, but that's thanks to Steve for making me believe in myself more, thank you for everything and I would recommend him to anyone. 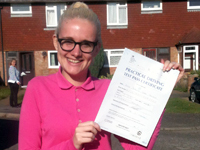 Passed first time. 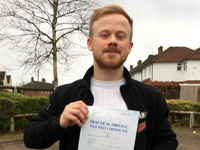 Steve was very calm and patient with me during my driving lessons, from the early stages right until the end, which made driving become enjoyable and fun. Steve is a fantastic instructor who is incredibly patient and teaches in a harmonious manner. He is always on time for lessons and is a great communicator. Also, Steve adapts his lessons to suit your needs which makes you feel more comfortable as a learner. Steve is very good at scheduling you in around your school timetable by using frees and time after school to teach you. Since he has helped pass both my older sister and I, I’d say he is a brilliant instructor and I highly recommend him. 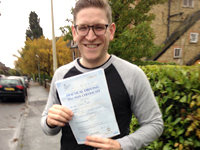 Steve was an amazing instructor and helped me pass first time. I truly enjoyed every lesson and with his very calm and patient approach to teaching I felt very comfortable with making mistakes and learning from them. I felt prepared for my test after practising the manoeuvres I felt less confident on many times with Steve. Thank you very much for your help Steve I really enjoyed the lessons! A fantastic teacher and mentor, Steve's tuition was absolutely first rate from start to finish. His calm and composed manner meant that I felt relaxed in the car, lessons were never a stress. Steve also has superb technical knowledge and expertise which he also imparted wisely (giving praise or constructive instruction depending on the situation). All of this meant that I went into my test feeling confident that I was in a good position to pass. Best of all, he is just a decent stand up bloke! Would highly recommend. I have had lessons with Steve over the past few months and with all his hard work and patience I passed first time. I would highly recommend Steve as a first class instructor, not only a wonderful teacher but a very kind and enthusiastic person! 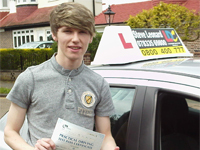 Very grateful for all the hours Steve spent with me to give me confidence and skills to pass first time. Steve aided me in becoming a comfortable driver with his calculated and patient approach. Definitely would recommend, thanks! 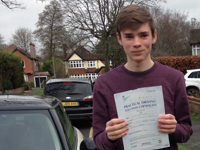 Steve made learning to drive thoroughly enjoyable from start to finish. He made me feel very relaxed and highlighted my progress whilst giving me valuable feedback and areas for development in my lessons. He has the patience of a saint and I was able to do what I felt I needed to practise again and again with his support and encouragement. When I came to test I felt quietly confident - I felt like Steve had left no stone unturned and I was as well prepared as I could be. 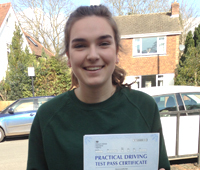 I now feel like I have passed (first time!) as a confident and competent driver - thank you! Steve is an incredible instructor who really tailors his lessons to suit you. He would often ask me which particular aspects of driving I was least confident with, and he would make sure that we practised them until I felt completely comfortable. Steve always stayed calm when I stalled or struggled with something, and the patient and encouraging way in which he instructs you puts you at ease and helps to boost your confidence while driving. 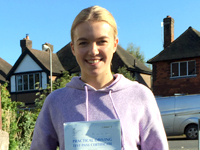 He also helps you to feel totally prepared for your test, as he has a huge amount of knowledge about the Sevenoaks area and potential test routes, and the mock test also really helps to give you an idea of what the day is like. Overall Steve is an amazing instructor and I could not recommend him more! Steve is an excellent teacher after starting with knowing absolutely nothing about driving he managed to get me there and pass first time. He is very calm and patient, giving clear instructions and breaking tasks down for me if I didn't quite understand, also giving me the confidence I needed yet pushing me to do my best. He was always very punctual and flexible with driving lesson times, for which most were in my frees at school, picking up from there and dropping back or at home. I would definitely recommend him to anyone looking for driving instructor. Steve is an excellent driving instructor. His lessons were great, focussing on exactly what I wanted to practice. He gave me great encouragement which boosted my confidence in driving massively. I'm so grateful for everything he has taught me and couldn't recommend him highly enough. Steve is a calm and patient instructor who will go at a pace that suits you. Sometimes I was a nervous driver but Steve was very encouraging and really helped build my confidence. 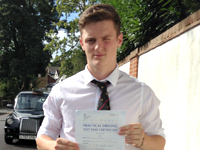 He is very experienced and knows plenty about the nature of the driving test as well as the Sevenoaks area. He seems to always have your best interests at heart with no pressure to book extra hours you don't need. It has been lots of fun learning to drive so thank you, Steve! 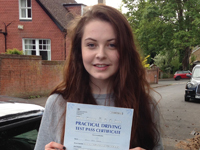 Passed first time! Very happy about that. Good teacher and would recommend. Calm, patient and friendly. 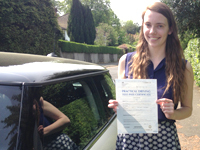 I am so pleased that I just passed my driving test first time - thanks to Steve! Steve was recommended by a friend which is always a good sign! 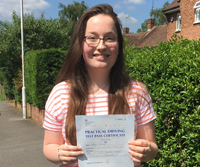 I was quite nervous learning to drive but Steve was really calm and patient, putting me at ease and giving me the confidence I needed to learn to drive and to pass the test. Steve is very professional in booking lessons and being on time and I cannot recommend him highly enough. 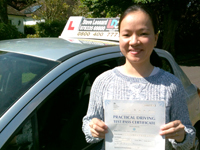 I am now scheduling further Pass Plus lessons with Steve which I know will really help me to become a better driver. My sister will definitely learn to drive with Steve in the future! 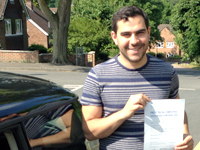 Steve was a very friendly and calm driving instructor which made driving a fun and enjoyable experience. He was always patient, never got annoyed when I made the same mistakes and we worked at a steady pace. 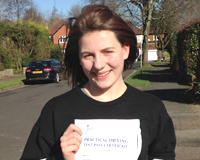 The mock driving test was also very useful and gave me a lot more confidence before my actual test. Would definitely recommend to others! font style="face: "arial,">Steve is an exceptional teacher, he is very patient, engaging and extremely thorough with his teaching. Each lesson I could feel solid improvements to my driving as the lessons were tailored to my weaknesses and parts I felt hesitant about. Booking lessons is easy and flexible as Steve never pressurises you to take more than you need. I have greatly enjoyed my time learning with Steve and am very satisfied with the result he has helped me to achieve. I’d highly recommend him to anyone. 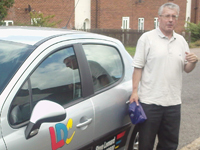 Steve is a brilliant instructor; from the beginning he was very patient and calm, helping me to relax in the car. 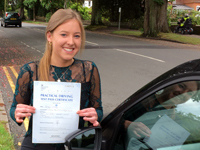 He provided endless advice which was very helpful, and went through various aspects of driving thoroughly, focusing on the parts which I felt nervous on. The mock test organized before my driving test, with another instructor, was incredibly useful, as both Steve and the instructor gave me very necessary feedback, helping me to pass my test. Overall I would recommend Steve to anyone, as he is clearly a brilliant driving instructor- in fact we've booked my sister to start lessons this year! I spent ages searching for a driving instructor and am so glad that I chose lessons with Steve. He was always on time, very patient and an excellent teacher. 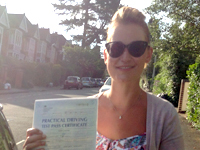 I learnt a lot and don’t think I would have been as good a driver if I’d learnt elsewhere. 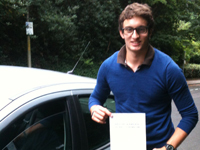 With his help I passed first time with a good result and, shortly after, bought a car. I didn’t think I’d have the freedom so quickly and definitely recommend him! There is no doubt that without Steve's help it would've taken me a lot longer to pass. Throughout the lessons he's been continuously patient and kind and not once did I feel unsafe behind the wheel. Lessons are flexible and easily fit around a busy schedule, thanks a lot! 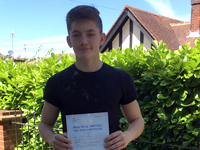 Thank you Steve for helping me pass first time! 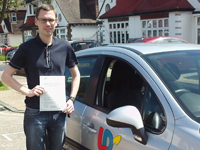 Steve's teaching style helped me gain confidence and feel safe whilst driving on the roads. 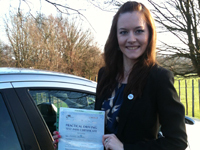 As a reliable and patient teacher, he made lessons enjoyable and productive, which allowed me to relax whilst driving. I would recommend Steve to those wanting to learn at a fast pace yet safely and thoroughly. Thanks again to Steve! 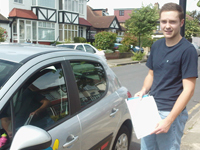 Steve is a brilliant instructor; polite, friendly and clearly very experienced. Every lesson sees tangible improvements and he does his best to arrange lessons at convenient times and without ever pressuring you to buy more than you need. Importantly, he's very familiar with the Sevenoaks area and will prepare you fully for any test scenarios you're likely to face. 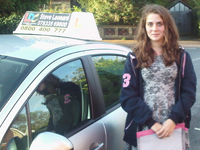 I thoroughly enjoyed my lessons with Steve and passed first time only 3 months and 16 driving hours, after my first lesson. I'd recommend him to anyone! Steve was reliable, flexible and had endless patience. Never did I feel pressured into booking unnecessary lessons, he was both honest and trustworthy. A very calm instructor, who gave clear and concise instructions, as well as, informative comments/observations. A great teacher and very friendly. Thanks for all the support! Steve was an excellent instructor, he was reliable, always turning up on time, whilst also being flexible with his lesson times. The lessons were flexible, and tailored to my specific weaknesses. Steve explained everything clearly, making me comfortable and at ease, he also gave me advice on how to stay safe in my future driving career. Learning with Steve was a fun and enjoyable experience. Learning to drive with Steve has evolved me into a fairly calm, confident driver. I truly believe that without the friendly learning environment created by Steve, I would have been far too nervous to pass first time! I have already recommended Steve to a number of friends and family, so they can benefit as I did. I was recommended Steve through a friend and was very pleased with how he went at a pace to suit me, and as he knew I wanted to be driving quickly, he got me to test standard very quickly. 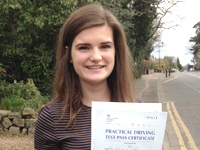 I passed first time with only 7 minors. Steve was always on time to lessons and was very friendly. I couldn't have passed first time without him. Would recommend to anyone. 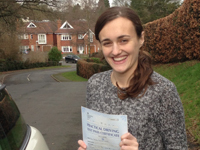 Steve's lessons allowed me to practice at a pace that I was comfortable with, resulting in a first time pass! Although I was nervous at first with no experience, Steve was reassuring and easy to get along with. The lessons never felt like a chore and I always enjoyed them. I was recommended by a friend to book my lessons through Steve and would definitely encourage others to do the same. Thank you for all your help! Thanks again for everything. Although its been a very short journey from start to finish, I have really enjoyed learning under your supervision. Not once was you late, always polite and I would recommend any one learning to drive to go through you, I have a lot of work colleague's who I have passed on your information. I know from experience that they will get first class treatment, I'm really glad I booked my lessons through your self. Steve's lessons were always great. At the beginning he introduced all of the basic skills that were needed and I immediately started to feel confident. He works at a pace that is both pushing to your limits but also doesn't make you feel pressured to do anything that you feel is too quick. I was able to book my lessons very quickly and at the times the suited me, he was always punctual and informed me if he was late (which was rare and was at most 15 minutes). 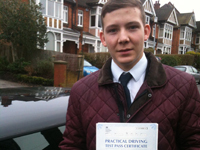 He was a great teacher and helped me pass first time within four months even though I had never driven before. Although i was nervous at first, Steve's friendly and instructive teaching style soon helped me learn to drive with ease. I found Steve very easy to get along with and I am very grateful for his tuition and getting me to pass my practical test first time. I cannot recommend learning with Steve enough. Thanks for being so supportive and believing in me. Thoroughly enjoyed the training and had lots of fun. 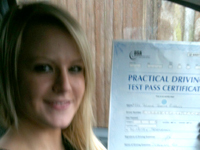 Passed with only 4 minors. I have had no hesitation in recommending Steve to my friends and family who are now training with him. Steve was a great instructor and the lessons were tailored to focus on the areas I had problems with. I enjoyed the lessons and felt at ease the whole time. The mock test was also really helpful as it gave me an idea of how it would be to drive with someone else in the car and made me a lot less nervous for the real thing. I would recommend Steve to any of my friends. 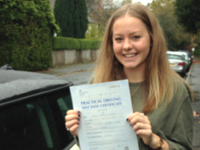 Ellie passed first time and is currently considering Pass Plus / motorway lessons. 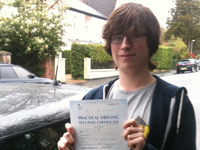 Passed my driving test first time with Steve Leonard! He is a great organised and on schedule instructor. Always prepared to try methods of learning to drive that will benefit you in the best way possible. Already booked my Pass Plus course with Steve. I would definitely recommended Steve to anyone who is looking for a driving instructor! 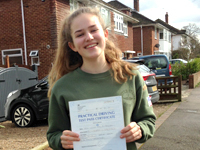 Passed with 7 minors and is considering a pass plus course. I found Steve Leonard to be a great teacher. His pacing and knowledge of when to move on to new parts of the course was perfect for me. The lessons were always fun and interesting and the scheduling of them was flexible. 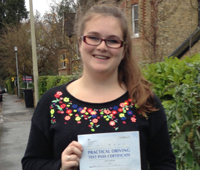 Passed with only 2 minors and has successfully completed a pass plus course. I found my lessons with Steve to be very good and helpful. Steve's teaching style was very good as he was always relaxed and made me feel at ease behind the wheel. I was always given clear instructions as to what I needed to do, and if there was something that I was unclear about, Steve was always happy to help me and give me advice if needed. At the beginning of my lesson Steve game me an LDC book and an LDC DVD. These were very useful for me throughout my lessons as it allowed me to go over the stuff that I was unsure about in my spare time. Closer to my test I completed a mock test with another instructor in the car. This was great for me as it allowed me to experience what it was going to be like when doing my test as there was another person in the front seat rather than Steve, who I was used to. I would recommend Steve to anyone who is looking to take up driving, and prefers to be in a calm and relaxed environment. 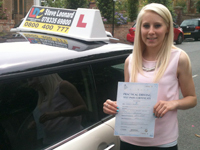 I found Steve Leonard's tutelage made me look forward to driving. He created a friendly and relaxed environment which helped my concentration and confidence. Instructions were clear and easy to follow. Moreover the application of a mock test with another instructor gave me the experience necessary to pass the test. I thoroughly enjoyed my time as a learner. 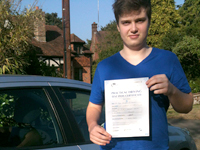 Wanted to pass his test before returning to Uni, undertook a semi intensive course and passed 1st time with only 3 minor. 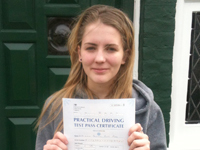 Passed her test with only 4 minors, looking to undertake a motorway course shortly. Thank you very much Steve for helping me to learn to drive. Steve is an excellent Instructor. He is helpful, easy to talk to and makes me feel really comfortable. I was very impressed by his patience. I know how difficult it must be to stay calm and not shouting when seeing someone make mistakes again and again. He always managed to stay calm, gave great advice and was confident in me. I highly recommend Steve as an instructor for anyone learning to drive. 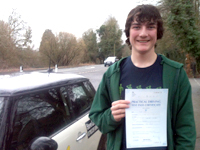 I took my Practical Test after doing lessons with Steve and passed first time. He is a very good teacher who excels at working towards test standard. He is thorough and explains and outlines clearly and understandably how to do everything. 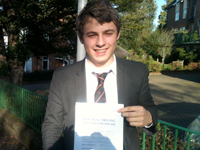 He also has a great sense of humour which really helps make the lessons better. The materials provided such as the book, DVD and Mock test links on his website were also very useful. Highly recommended. 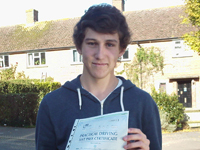 Passed 1st time with only 3 minors, looking to start a 'motorway course' with Steve shortly. 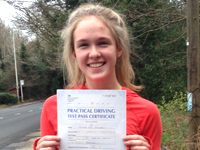 Passed first time with only 1 minor. I passed first time with Steve with less lessons then I thought I would need. He is a very confident teacher who always believed in my ability to pass the test. He knew how to get me ready for the test so I would take it confidently and pass. I would highly recommend Steve as he sees us all as individuals and adapts to our needs rather then his own agenda. Apart from his honesty, adaptability, skillfulness he also has a good sense of humor-much needed! I am a very satisfied customer. 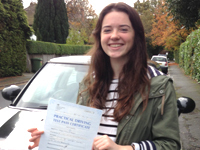 Passed first time with only 1 minor. Happy to recommend Steve to several of my friends who have since taken up lessons with him. 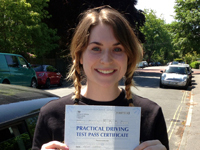 Took up driving later in life and passed first time. Very happy. Moved across from a competitor following recommendation from friend who passed with Steve first time earlier in the year. Found the training more instructive, flexible and friendly making learning easier. Passed. I found the training very friendly and helpful. 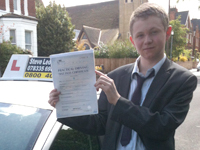 Steves style of teaching is very good as it always made me feel relaxed and at ease behind the wheel in any situation. The instructions i was given were very informative and clear. Whenever there was a situation that i was not sure about, I asked for advice and received very good advice. I found the LDC book and DVD very useful as both the book and dvd link up. This helped because i could easily find a specific subject that i wanted to study. I found the mock test very useful as it allowed me to see what i had to improve on. Having another instructor in the car helped as well because he was able to tell me how my driving was without knowing how i drove up until the mock test. 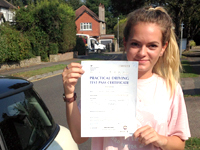 In conclusion, i found the training very useful, the style of teaching was very good and I always felt relaxed and comfortable behind the wheel. I am happy to recommend Steve. 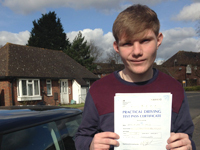 Passing his test first time with only 2 minors.